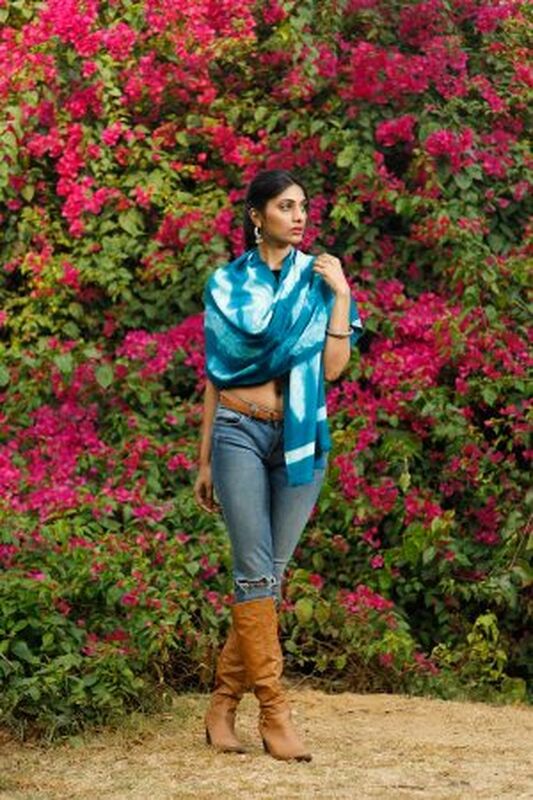 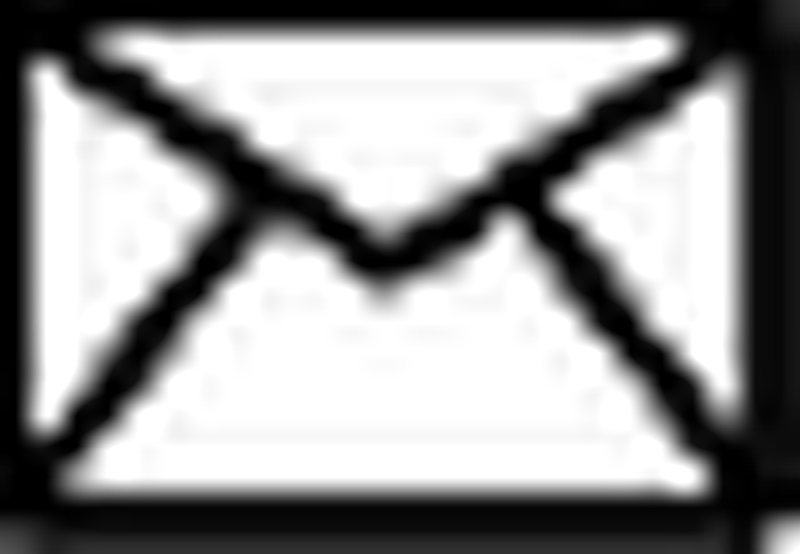 The fabric of this stole is Handwoven Semi Pashmina of the finest variety. 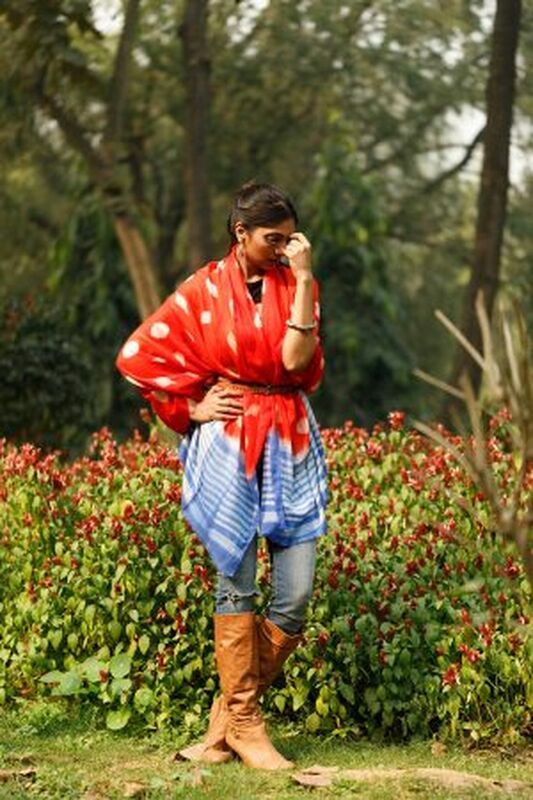 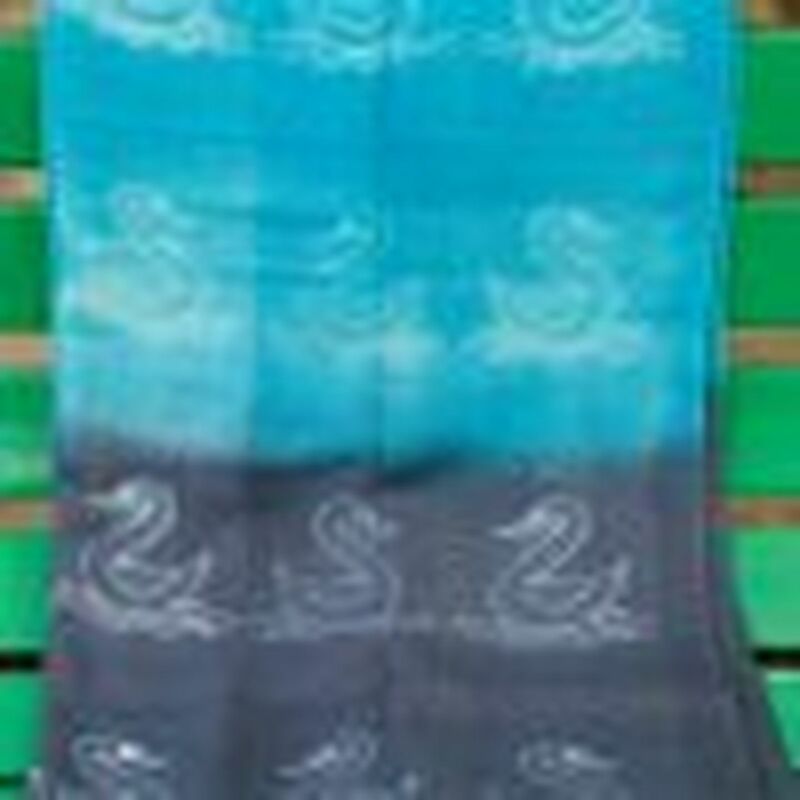 The stole has then been embroidered upon & hand tied & dyed with gorgeous Shibori patterns & in a vibrant colour palette. 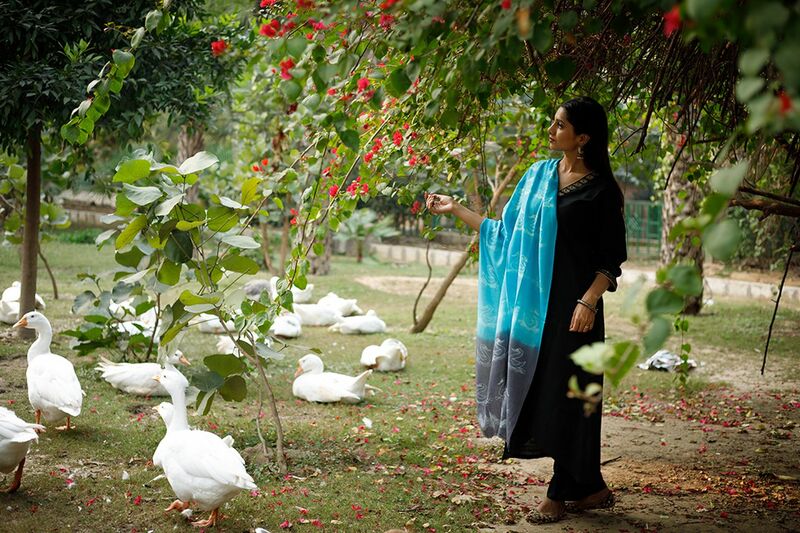 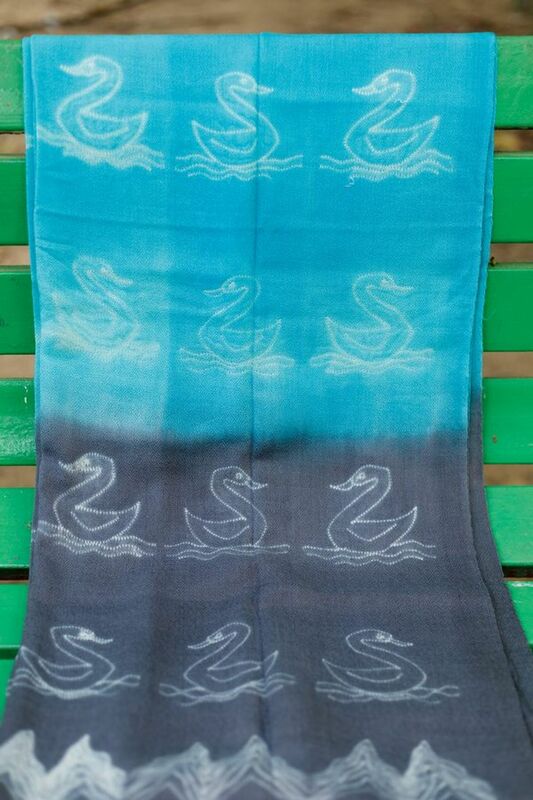 Seen here is a Duck Motif created on this gorgeous stole.